Rachel Weisz is a divorced police officer struggling to secure a transfer to be closer to her daughter, so when the opportunity to accept a lucrative international peacekeeper gig in Bosnia arises, she accepts the job. It’s here that she learns of a human trafficking syndicate, one that involves numerous UN officials and hordes of American citizens protected by international immunity. 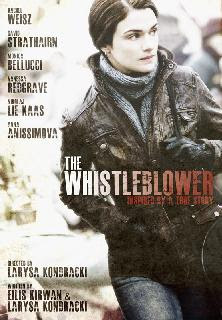 As you might assume from the title, Weisz takes it upon herself to bring down said organization in this “based on true events” political thriller that will have you shaking your head at humanity’s astonishing capacity for cruelty and how bureaucracy almost always chooses the bottom line over morality. Not a feel-good movie in the slightest. Winner of the "Thriller" prize at the 2012 Brussels International Fantastic Film Festival.